SPRING INTO SISTERHOOD, vote with your dollars & join We Are Women Owned at Artists & Fleas SoHo for a weekend of supporting & connecting with women-owned businesses! 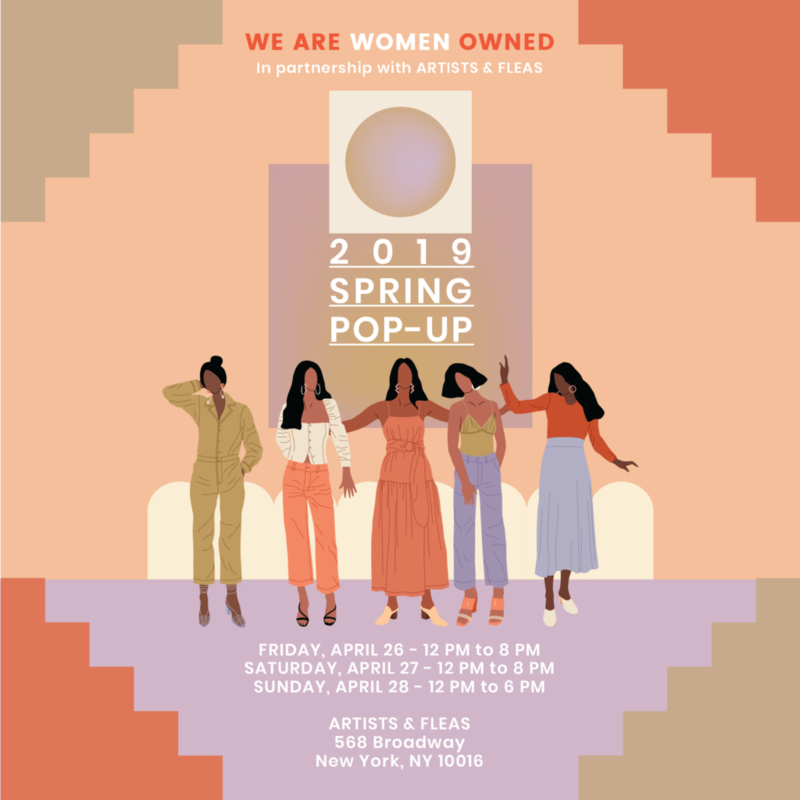 After a super successful series of pop-ups in partnership with Artists & Fleas in 2018, We Are Women Owned is excited to kick-off the spring season with their first-ever 3-day pop-up shopping event at Artists & Fleas SoHo in support of 15+ amazing women makers, doers & curators. Artists & Fleas is a marketplace of makers - tastemakers, experience creators, designers, collectors and curators. Together, this creative community of shoppers & sellers comes to discover and be discovered.